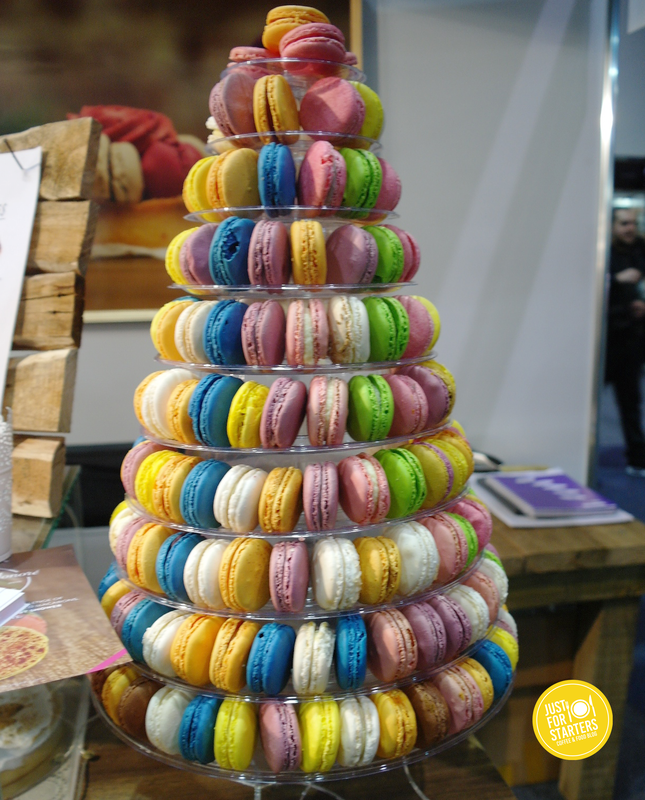 This years Good Food and Wine Show has come and gone and judging by the large crowds of Perth goers it seemed like it was a huge success! 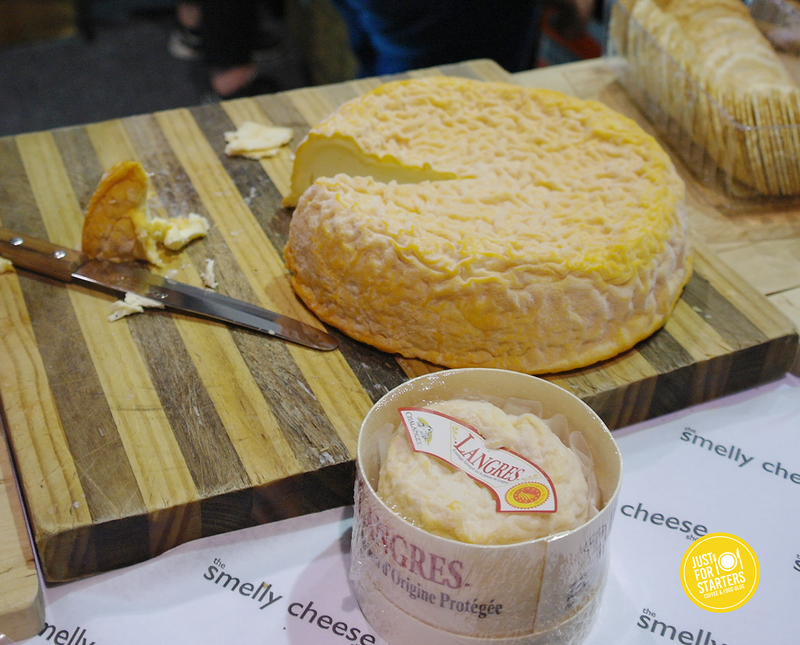 This is the first time I have been to the Good Food and Wine show and I was so excited to see the hundreds of stalls from leading winemakers and food suppliers. There was also local celebrity Chefs and experts such as George Calombaris, Adam Liaw, Paul West, Anna Gare, Miguel Maestre mingling with the crowd before they went onto show their skills with their live cooking demonstrations. 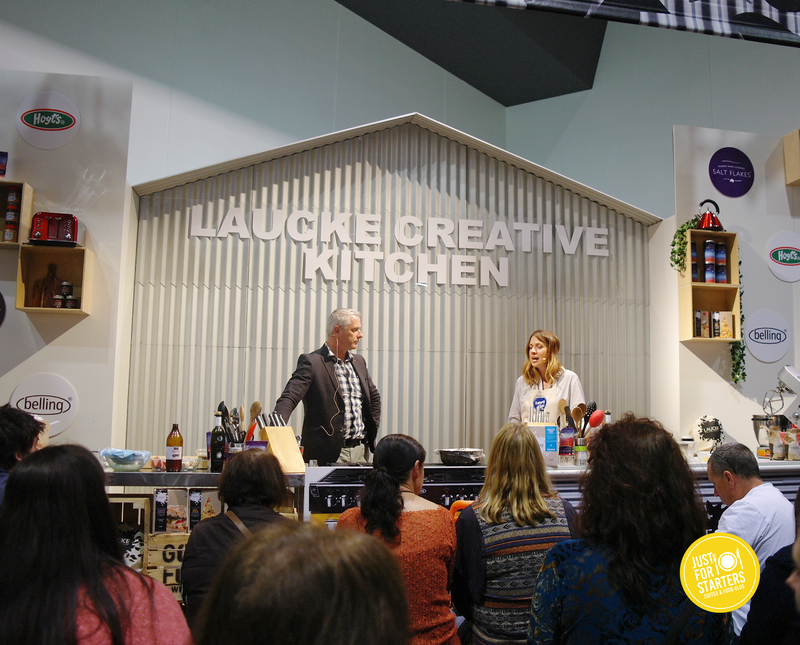 One of the highlights for us, was watching My Kitchen Rules stars Eva and Debra’s live cooking class. It was great watching the girls as they cooked a beautiful Fish in Banana Leaf and a Pandan Panna Cotta. 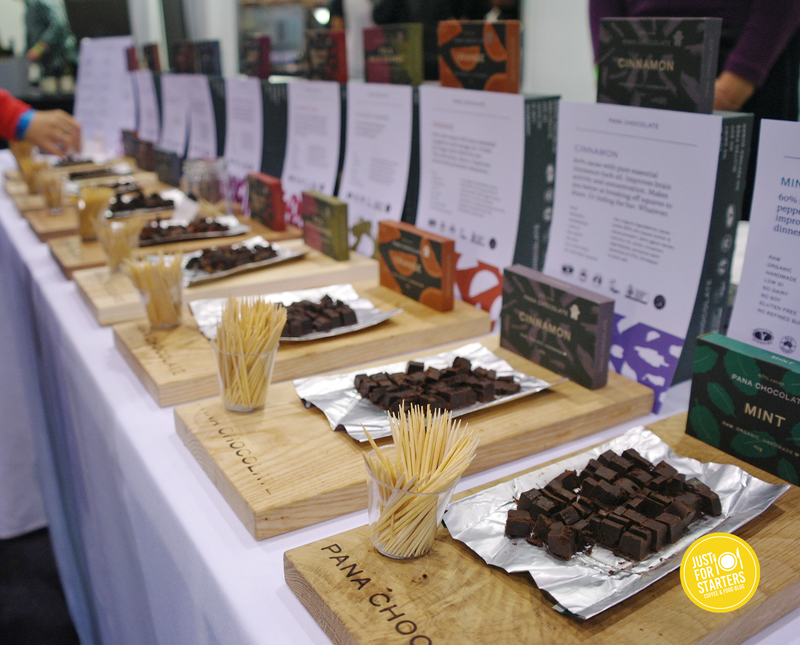 We had a wonderful day at this years Good Food and Wine Show, we sampled so many delicious food products and picked up some tasty goodies for home. A BIG thank you to the good guys at The Humus Club for giving two complimentary tickets! Don’t get me wrong…I love Perth weather. I love the colourful autumn sunsets, rugging up in warm jackets and most of all the smell of rain, but… for this years Taste of Perth I wish the rain would of stopped just for the day. The weather was cold, wet and miserable but that didn’t stop us. 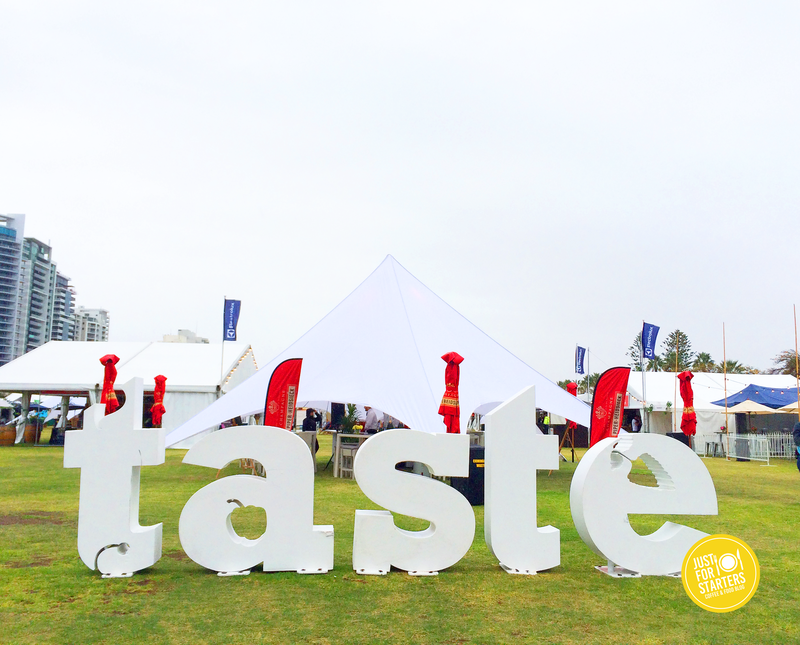 We braved the weather to taste the creations from Perth’s leading chefs and restaurants as well as sample gourmet delights from Perth local producers. By the time Anthony and I got inside we were starrrrving so the first thing on our minds to was to check out the restaurants and grab something tasty to eat before we perused around all the gourmet food stalls. El Publico – Pork Belly Taco, grilled belly served with pineapple, salsa picante and chicharon cost: 8 crowns. Perfect start to the Taste of Perth! My taco was delicious, the pork belly was tender and juicy and I loved the super crunchy bits of pork crackling sprinkled all over. 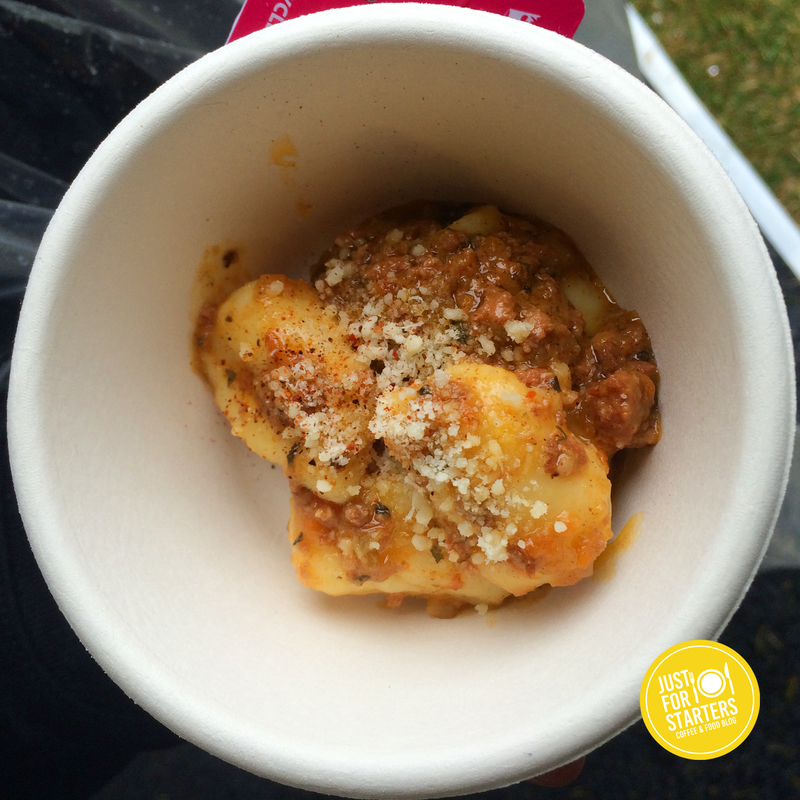 Lalla Rookah – Ricotta Gnocchi, sugo di carne: organic beef and pork ragu cost: 8 crowns. The gnocchi was definitely the highlight as it melted in your mouth but one thing we were disappointed in was the portion size. 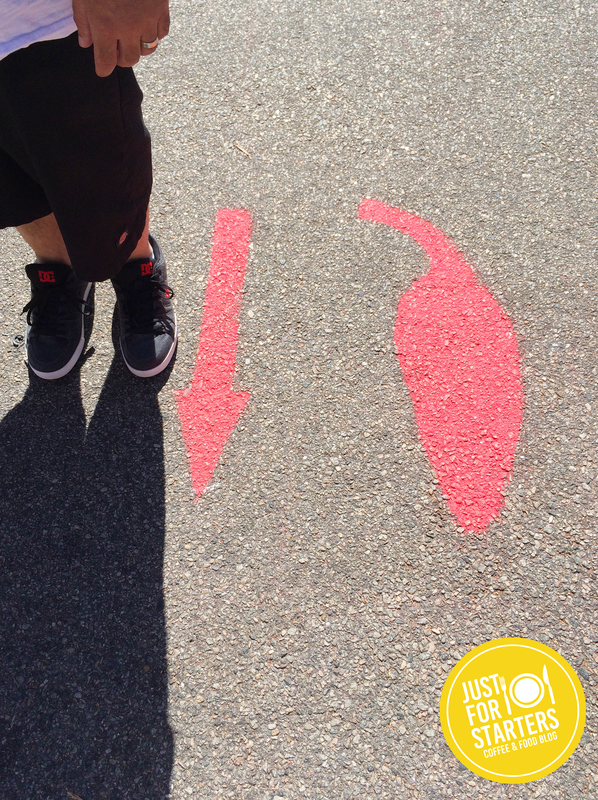 We walked away thinking it was a little overpriced for what we got. 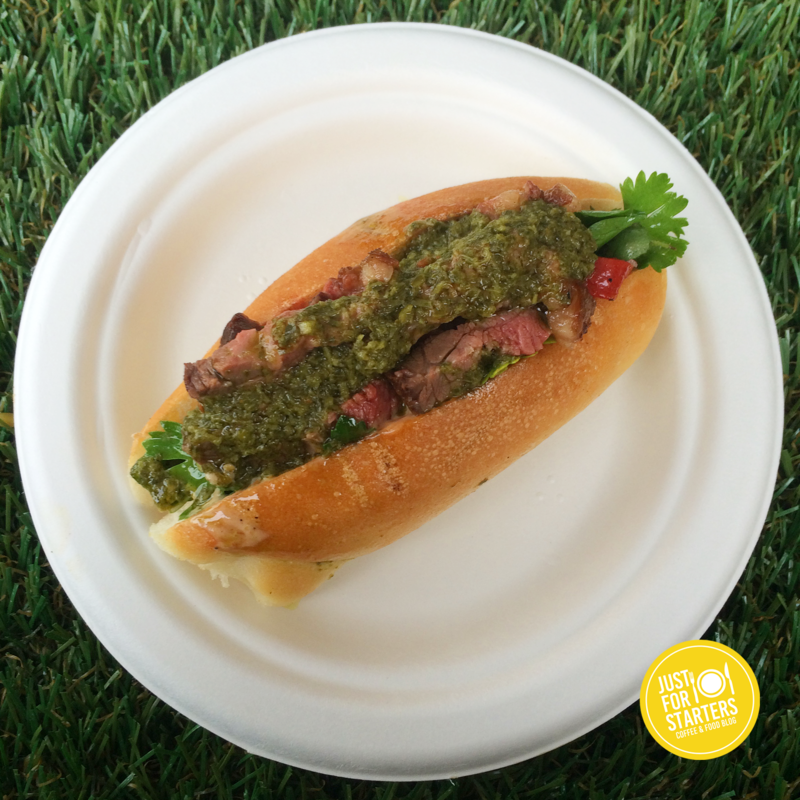 Asado – Lomito, BBQ’d rump cap, loose leaf chimichurri, chipotle mayo, salsa criolla cost: 8 crowns. 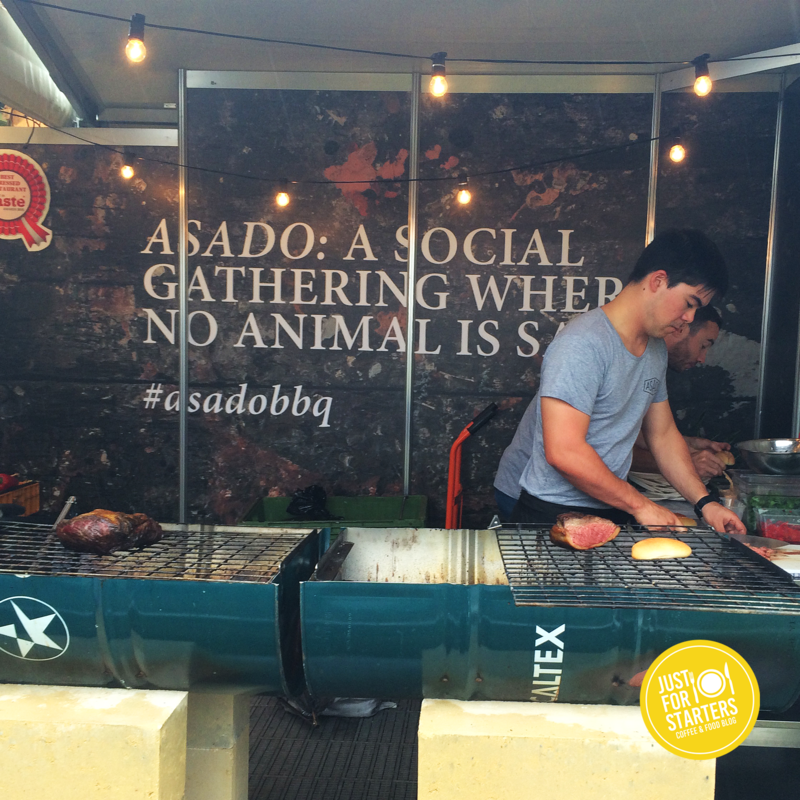 The BBQ meat was so juicy and tender and the chimichurri sauce was the bomb! Anthony loved this dish so much he went back for seconds! 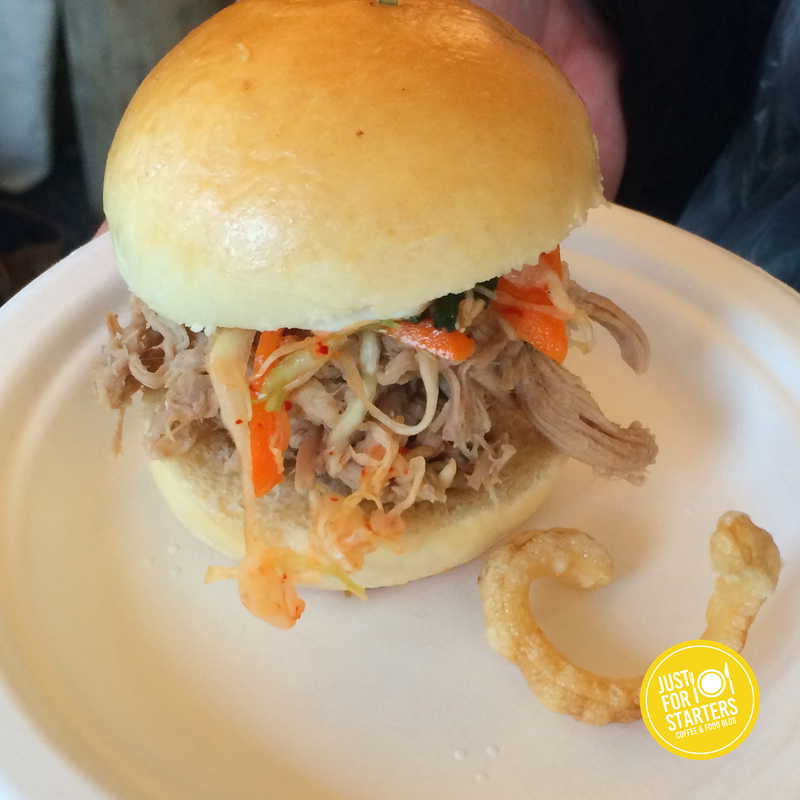 Bib & Tucker – Rotisserie suckling pig slider with kimchi slaw, kewpie cost: 8 crowns. This slider went down well and was gobbled up in seconds! The shredded suckling pig was amazing! soft, tender and was a tasty match with the kimchi slaw. 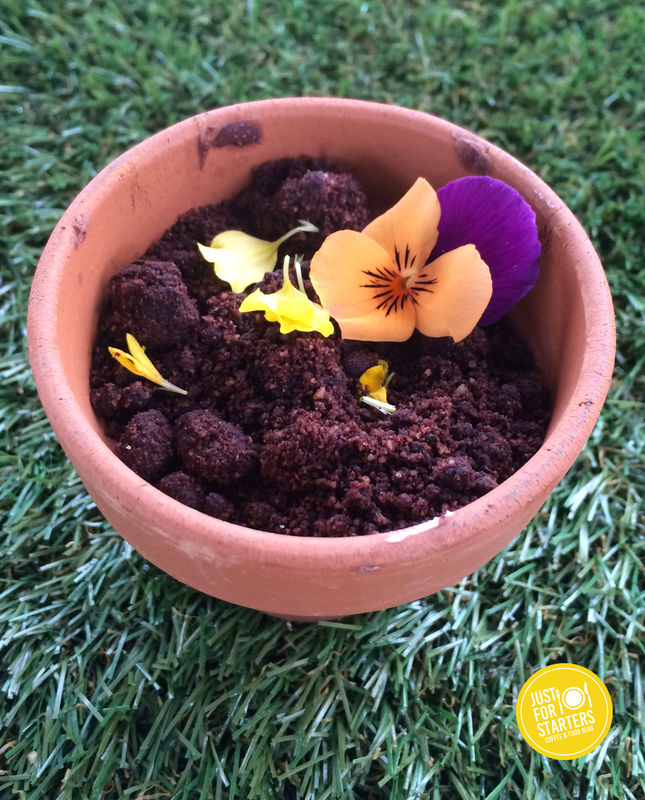 Next Door at No.4 – Valhrona Chocolate Garden, salted caramel, peanut dacquoise, sandalwood rocks cost: 18 crowns. This dessert was deliciously decadent. Each spoonful gave a delectable rich, smooth chocolately caramel hit. 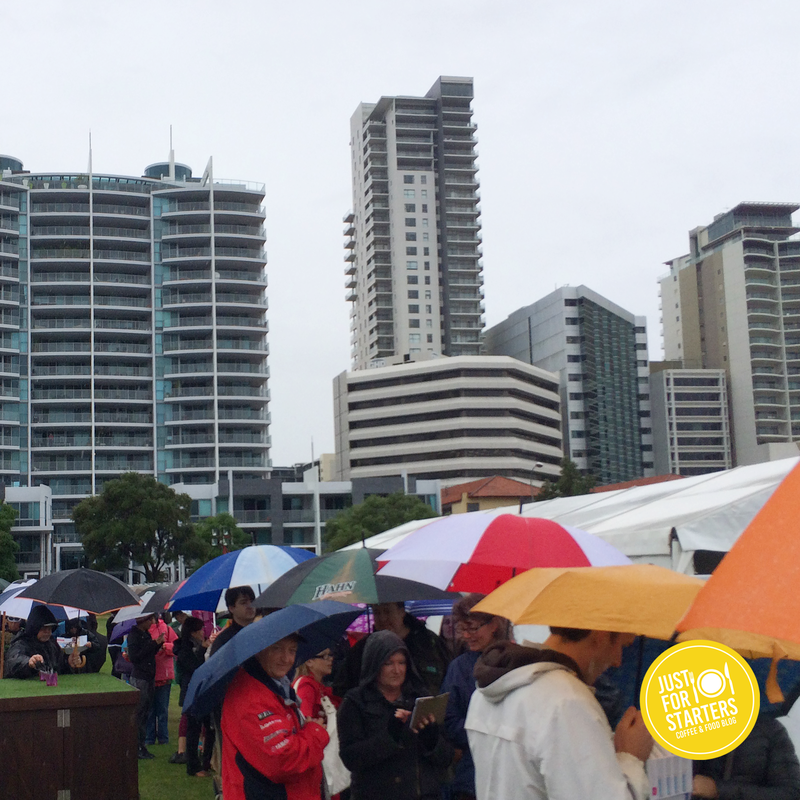 We had a great time at the Taste of Perth this year despite the weather. We didn’t end up spending the whole lunch service there as a couple of hours in we were so cold and drenched from the rain. I sympathise with the event organisers because you could see that there was so much effort and planning put in to make this a great event for Perthgoers but unfortunately we can’t plan the weather (I learnt that lesson on my wedding day. We had a beautiful vintage garden ceremony in late October and it rained most of the day!) 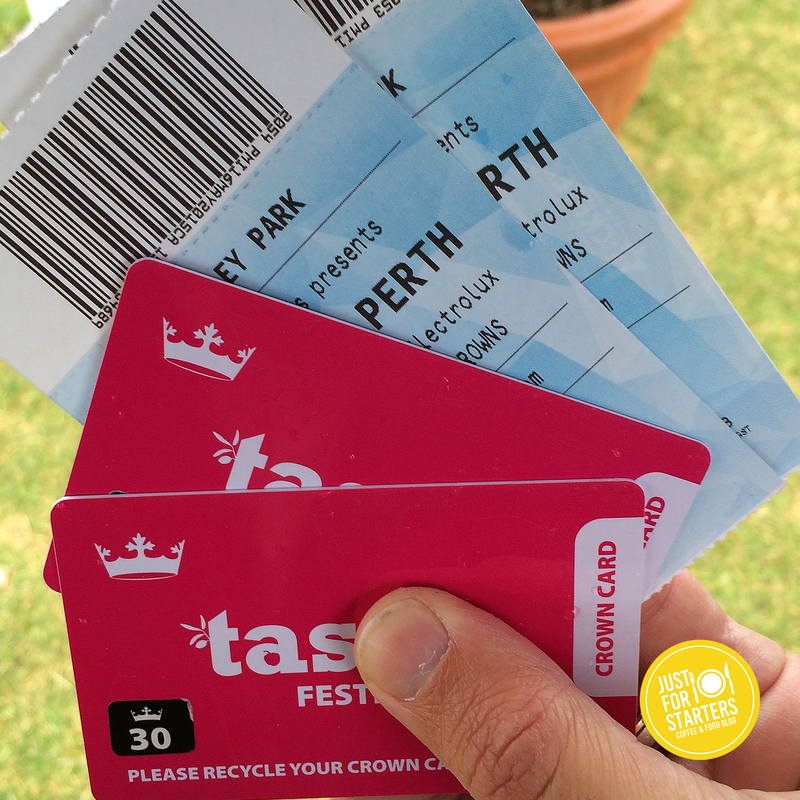 If you love food and get a kick out of trying new flavours the Taste of Perth is definitely an event you shouldn’t miss. Cant wait for next years! 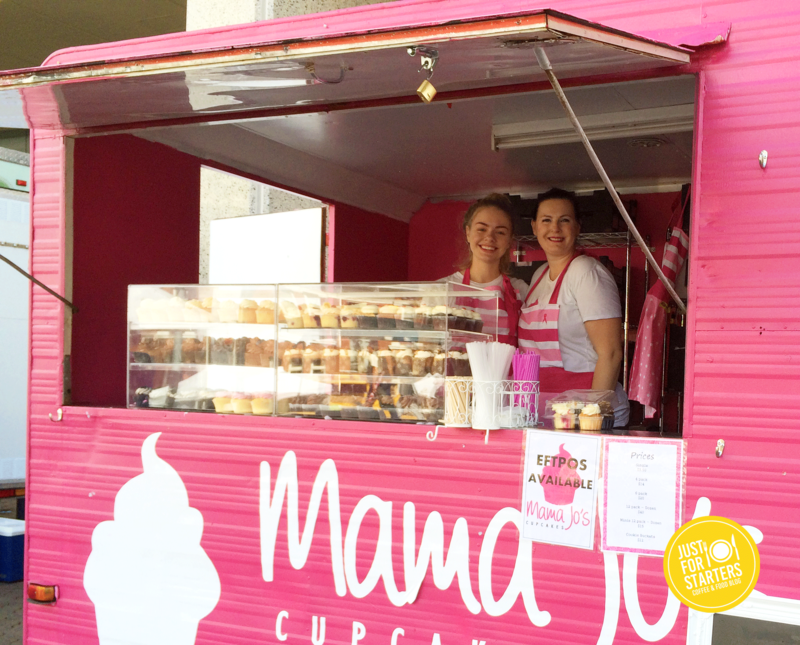 This past Sunday (12th of April) the largest food truck event in Western Australia was back! 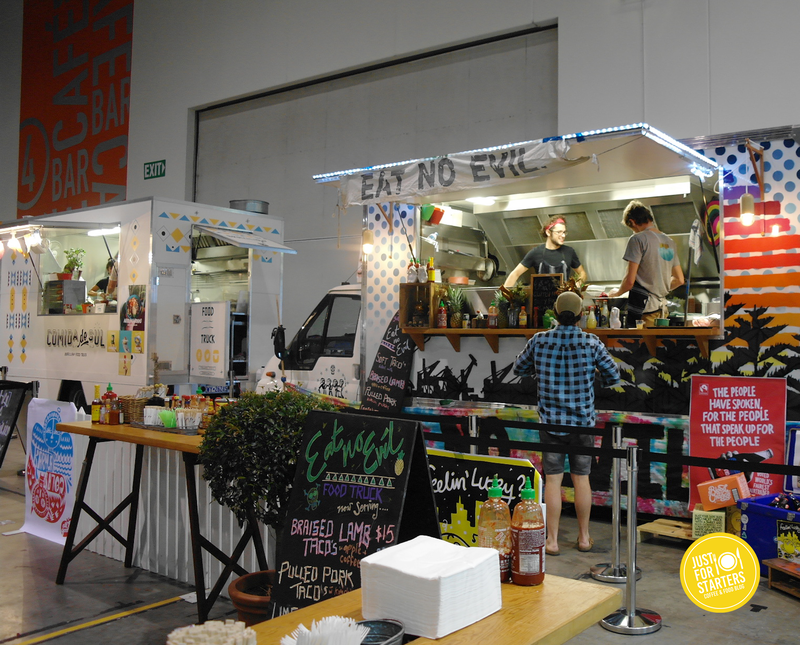 Perth’s Food Truck Rumble V2.0 was bigger and better. 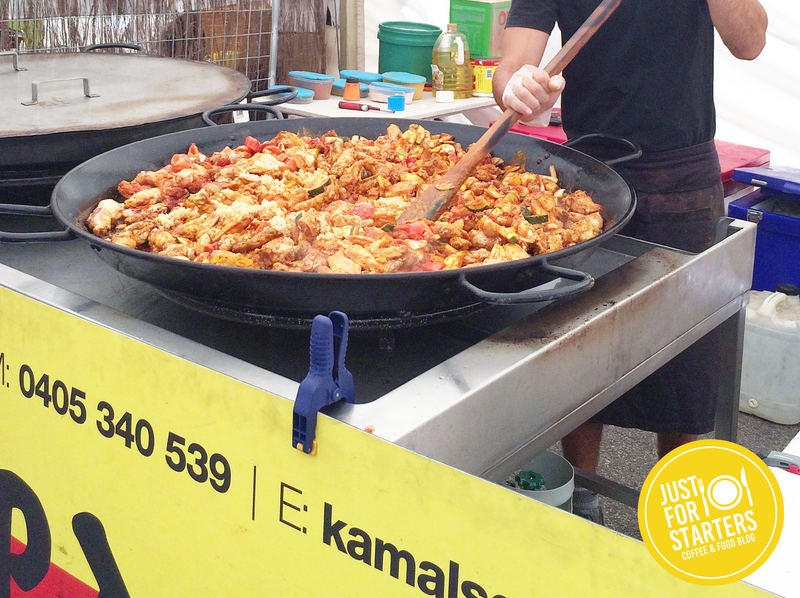 Held at the Perth Cultural Centre, this years rumble had locked in 30 vendors producing delicious food fare from different parts of the globe. Founder/ organiser Ai-Long Truong has outdone herself organising an event that really showcased Perth’s food truck scene. Hearing about how immensely popular this event was last year, Anthony and I decided to get there early to beat the crowds. We got to Perth Cultural Centre around 11am which allowed us to walk around, take pictures and have a chat to the people running the food trucks. The weather yesterday was crazy, it would rain, then it would clear up, then it would rain again. But it didn’t effect us too much as we sought coverage underneath the marquees until the rain ceased and then we went on our way again. 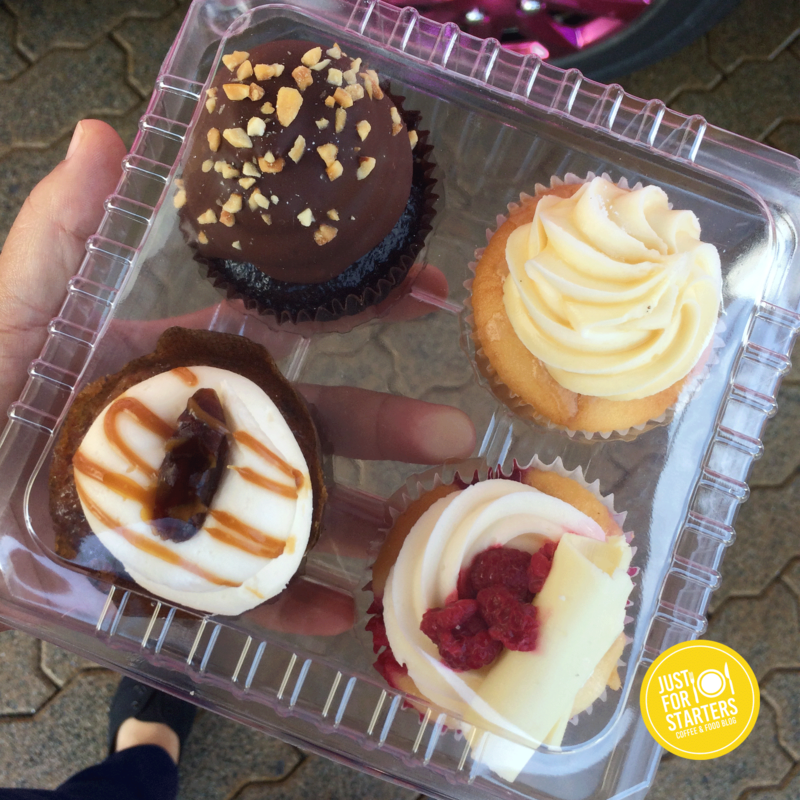 First up we visited the lovely ladies at Mama Jo’s cupcakes and picked up some delicious treats for later. Next on my radar was Lot Twenty. We picked up an Austin Midnight Slider $5. The guys at this stand were hilarious! Cracking jokes and making fun of each other. Great start to the Food Truck Rumble I thought. 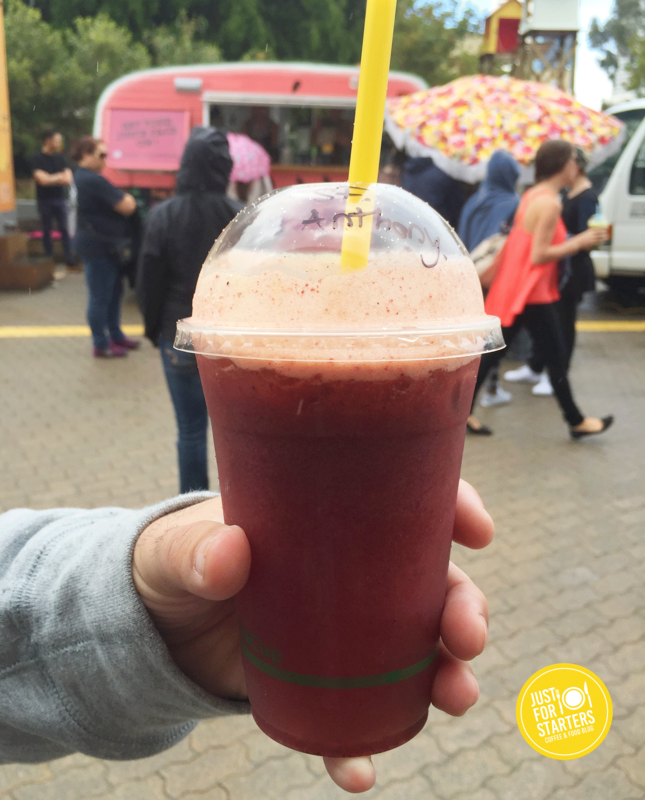 Next stop, Juice Face – Smoothie & Juice Bar, we picked up a refreshing Strawberry Fields juice – Strawberries, blueberries, raspberries, lime, watermelon and green apple. 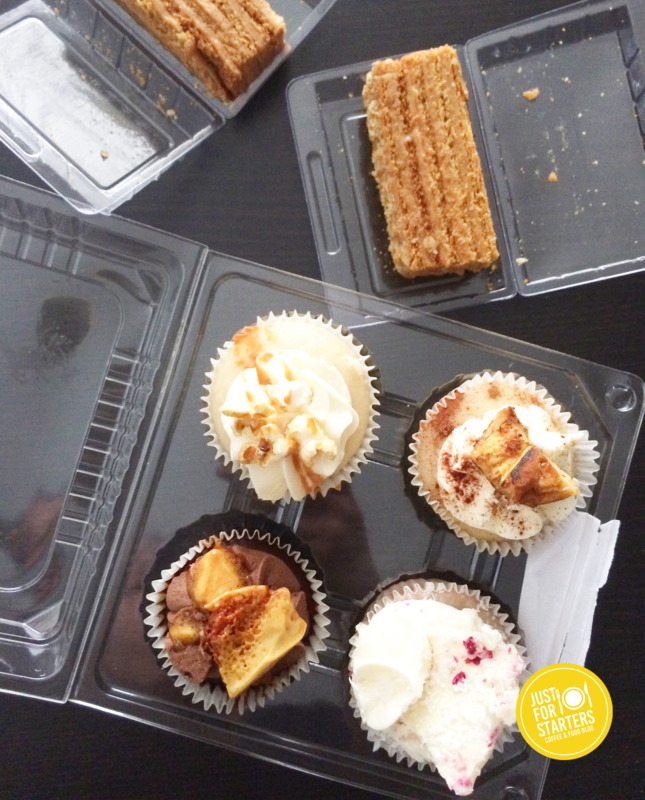 Our last stop was Eat No Evil, we wanted to try something a little different. 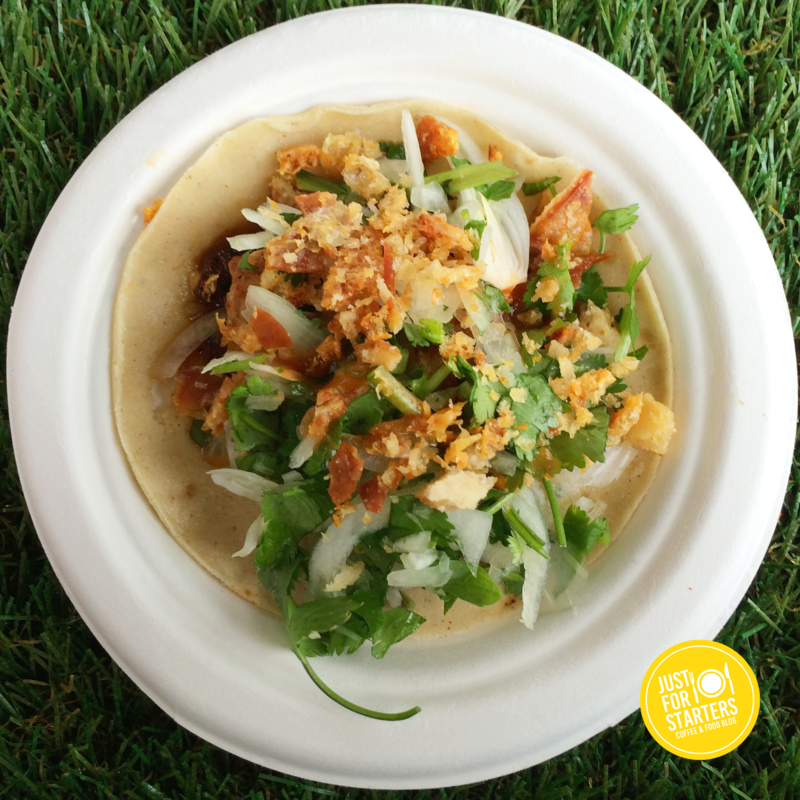 So we chose Soft Shell Tacos with Slow Braised Lamb, Coffee Mayo, Herbs and Wattleseed $15.00. Anthony liked the flavour combination although he couldn’t taste the coffee in the mayo. Two tacos for $15.00 we thought was a good price. 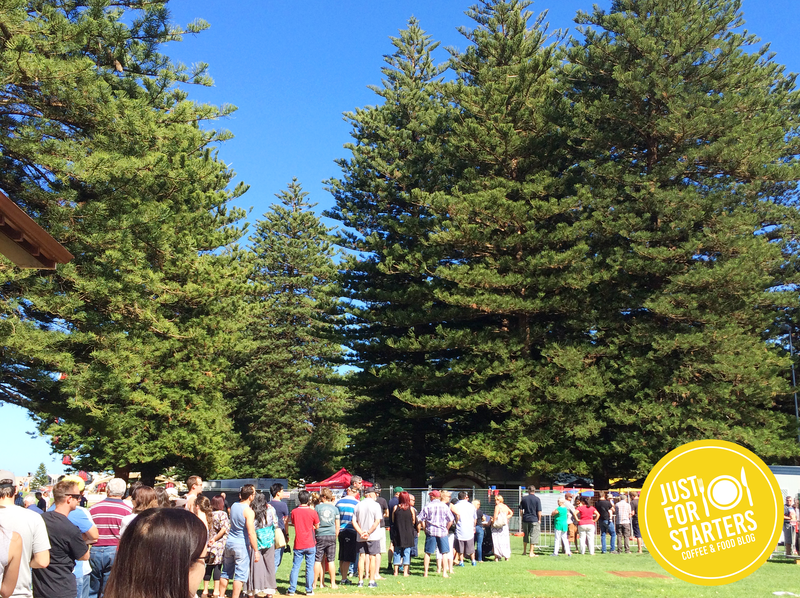 Last year was the debut of Perth’s Food Truck Rumble and as to be expected there were some teething problems. 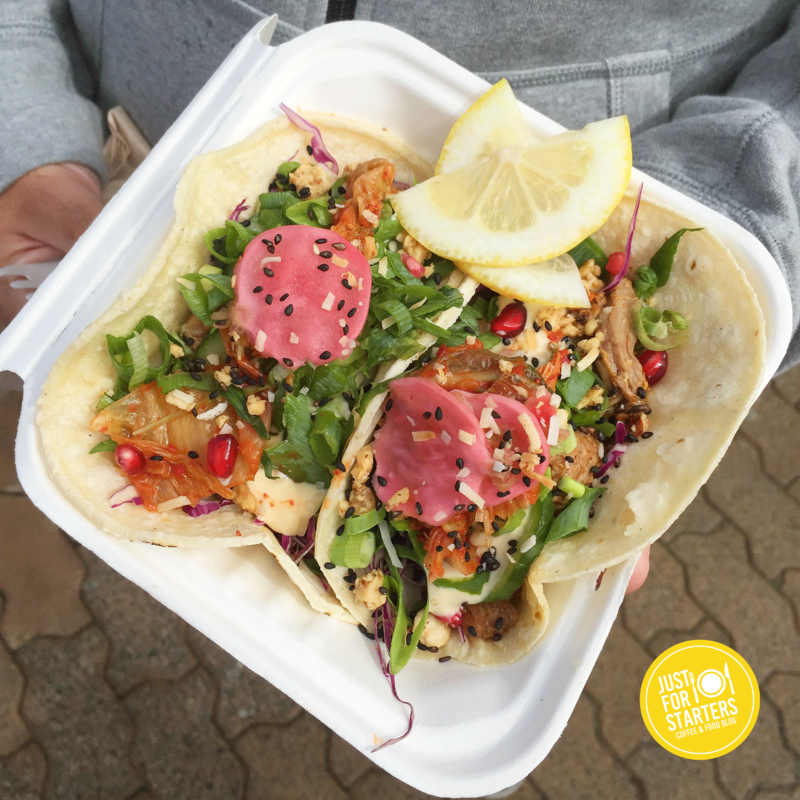 This year, organisers almost doubled the amount of food trucks and strategically placed them around a bigger area at the Perth Cultural Centre. 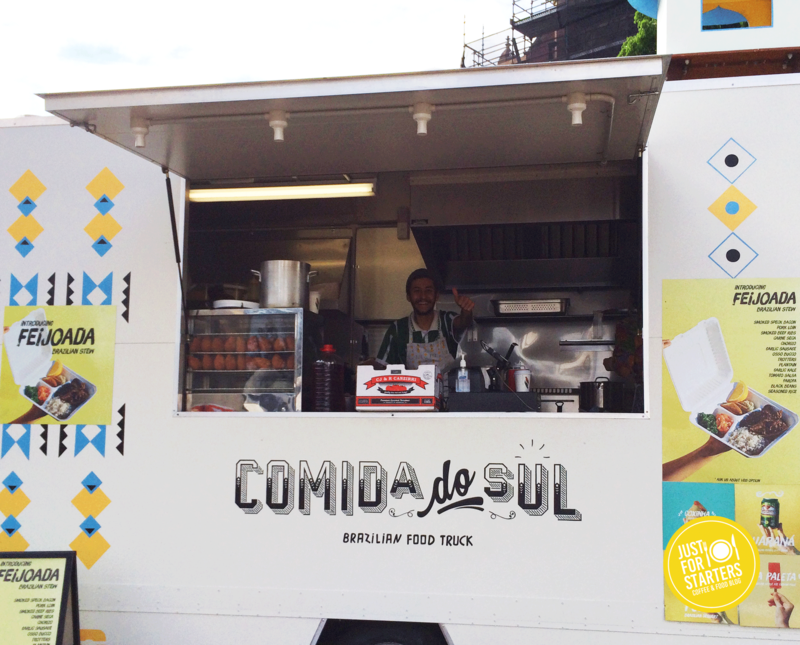 But even with those changes, I heard later on in the day there were still long queues for each of the food trucks. For next year, I strongly advise to get in as early as you can. With events like this, it really pays to get there early so you have time to leisurely check everything out and enjoy the experience. Anthony and I had great time, we tasted some good food and met some great people. If you ask my husband (our resident gourmet cook) what is one of his favorite ingredients to cook with besides the usually good quality olive oil or fresh garlic, I think he would most definitely say Chilli. 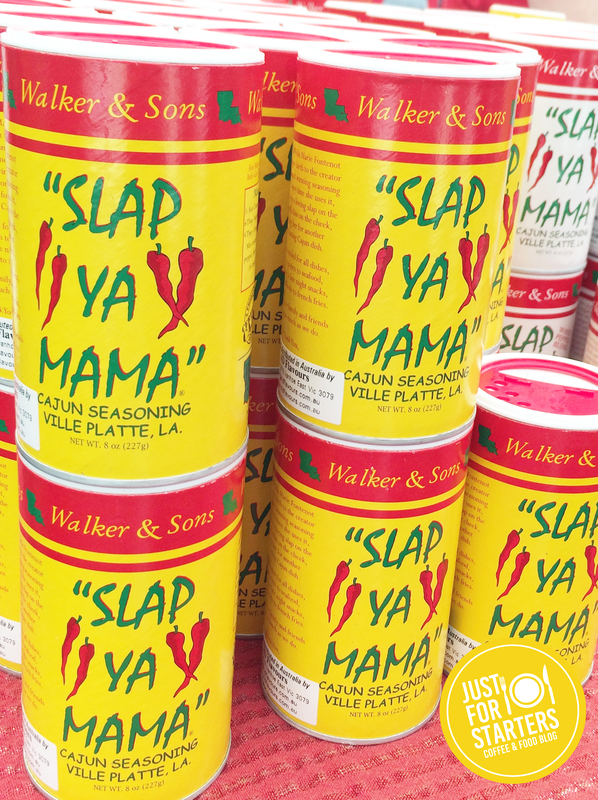 My husband loves chilli and never misses an opportunity to add bit of spice to his dishes. Like most chilli lovers, my husband believes Chilli livens up a dish and really enhances the flavour. 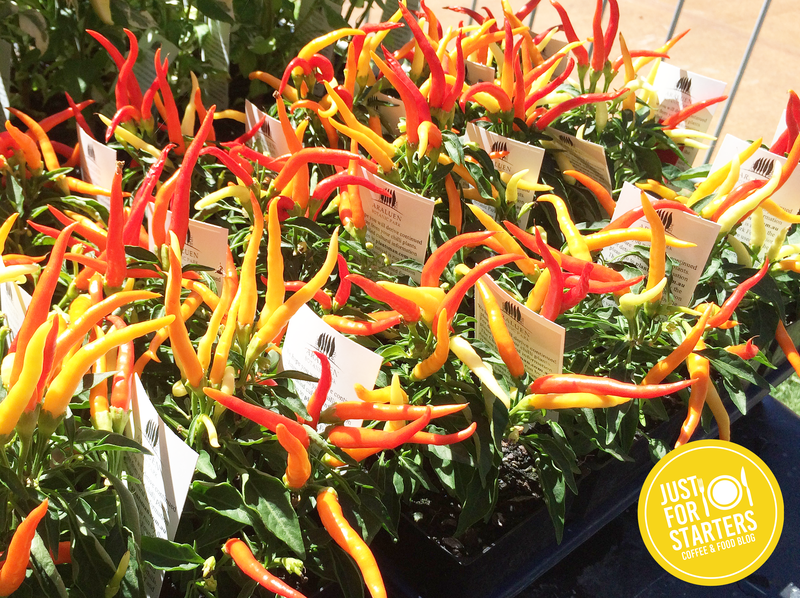 So naturally, when he found out that there will be a big Chilli Festival in town he was really excited to check it out! 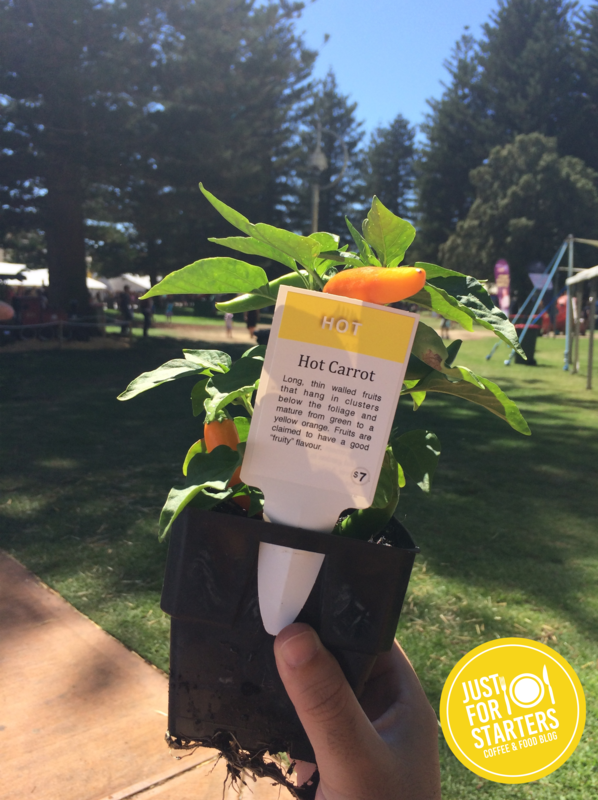 This year, Araluen’s Chilli Festival was again held at Fremantle’s Esplanade park. The festival originally was held at Araluen Botanical Gardens but to keep up with its growing popularity they decided 2 years ago to move the event to bigger surroundings. As we aproached the entry gates of the festival we were amazed to see the massive line of people that was waiting to get in. Luckily we didn’t have to wait to long as the ticket box opened, people were served quickly and within a few minutes we were walking through the entry gates of the Chilli Festival. Our plan of attack was to start from the the left hand side and work our way around so we could check out each stall and hopefully discover some delicious foodie finds. 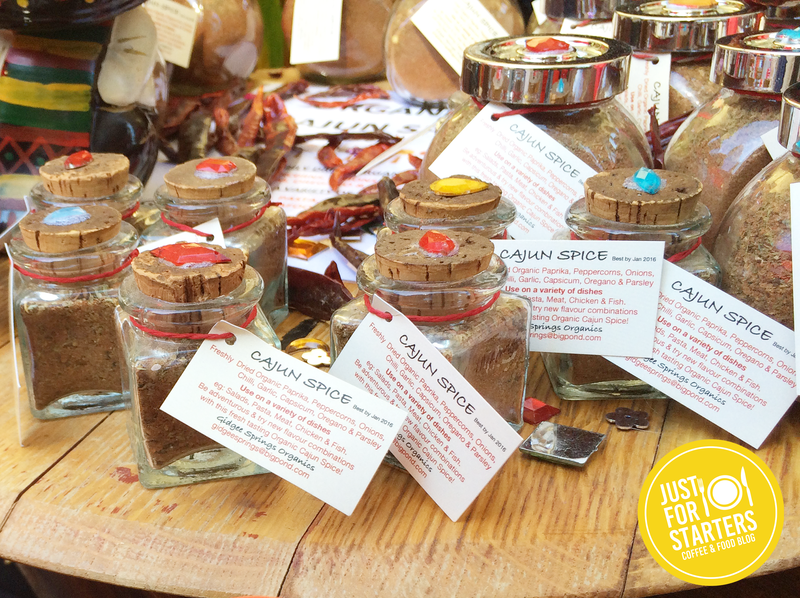 There was heaps of different types of chilli products on offer like sauces, relishes, spices and rubs just to name a few. Towards the back of the festival there was a popup garden centre for people to buy chilli plants. 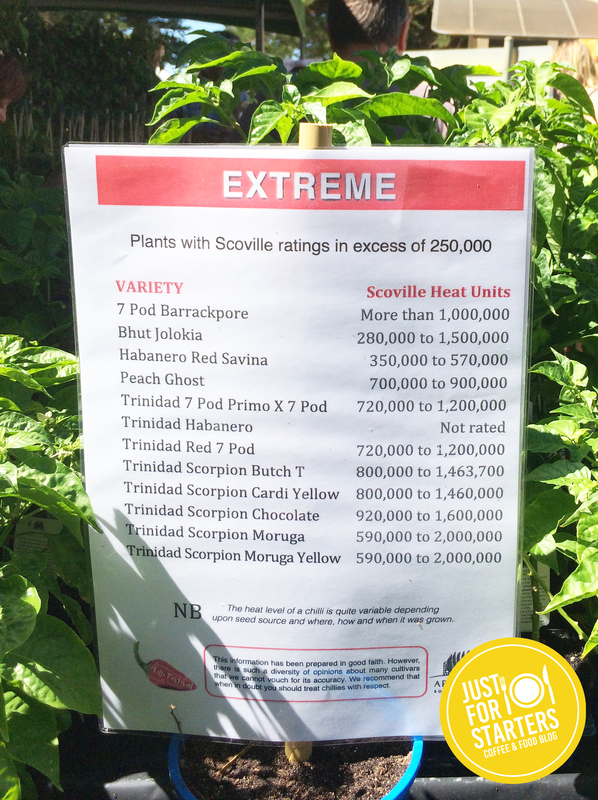 The garden centre had chilli plants from all varieties as well as different heat levels ranging from mild to EXTREME. About an hour in, we were starting to get a bit peckish. As I cannot handle chilli I opted for some delicious Calamari Squid Rings with a tangy dipping sauce. My hubby on the other hand, picked up some Jalepeno poppers. He was very impressed. 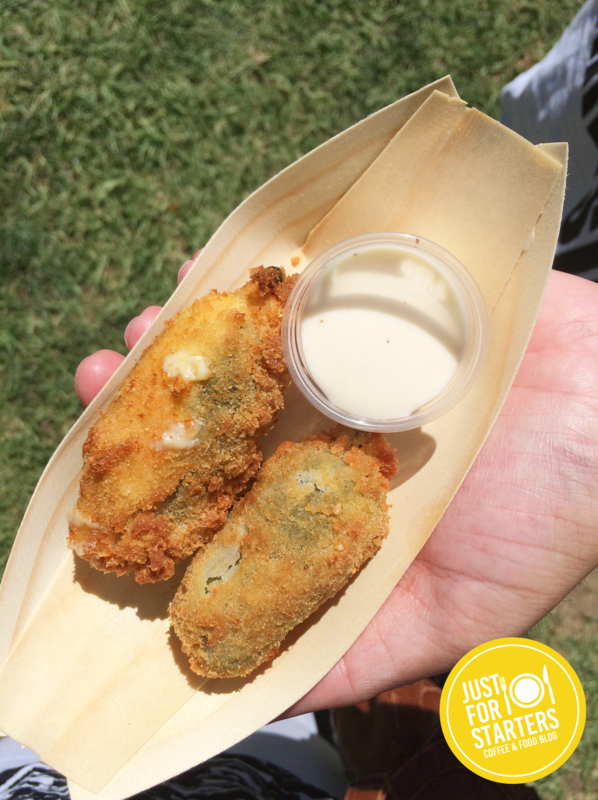 ‘The best Jalepeno Poppers I’ve had so far!’ They used good quality chillies and the spicy cheese filling was so creamy and tasty. He gave it a BIG thumbs up. 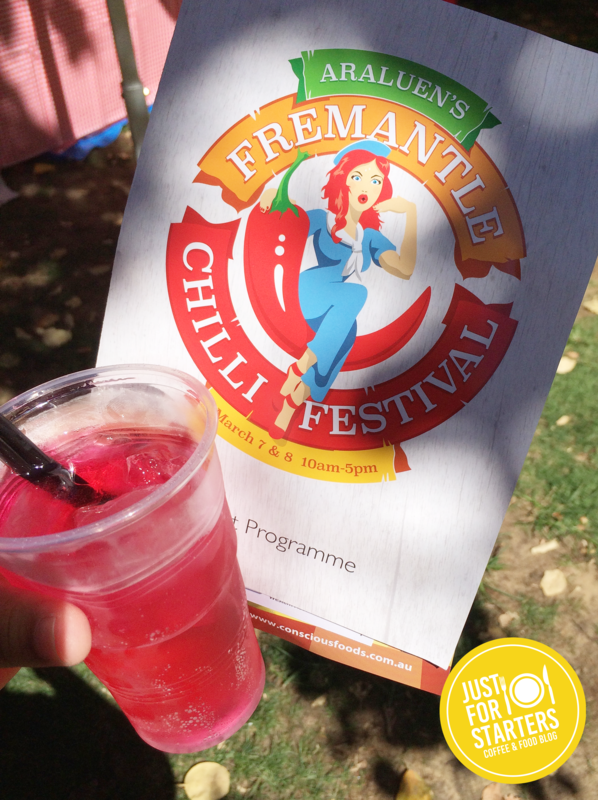 This was our very first time going to the Chilli Festival and we both really enjoyed ourselves. The location, the weather and the people all help make it a lovely day out.